Coscarelli, Chloe. Chloe Flavor: Saucy, Crispy, Spicy, Vegan. New York, NY: Clarkson Potter/ Publishing. 2018. 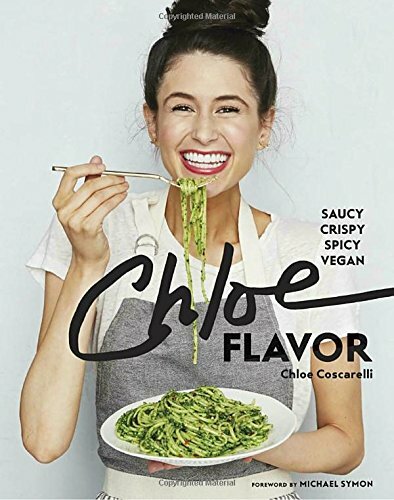 As the first vegan chef to take the coveted top prize on Food Network’s Cupcake Wars, author, chef and entrepreneur Chloe Coscarelli serves ups delicious, vegan, spicy, saucy and crispy recipes in her newest cookbook, Chloe Flavor. 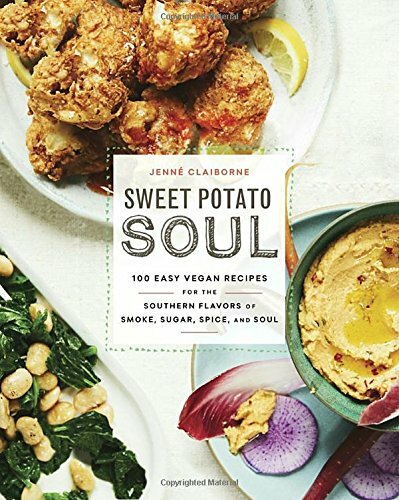 Beginning with an introduction of commonly used vegan ingredients, this stunning cookbook also includes recipes for breakfast, snacks, sides, soups, salads, sandwiches, bowls, drinks, and of course, dessert. Filled with gorgeous photography of each dish, personal testimonies and stories add to this impressive new cookbook. Wow! Visually beautiful and appetizingly delicious, Chloe Flavor is now one of my very favorite and savored cookbooks. Personally trying to follow the healthy lifestyle more closely, I truly never thought vegan could be so enjoyably tasty! With a few family favorites already from this book, Fiesta Taco Bowl, Cranberry Sauce, and Firehouse Chili with Corn Muffins are some of the most favored. An easy, doable and inviting introduction to healthy vegan menus, I highly recommend this remarkably delicious cookbook. Cameron Bure, Candace. Staying Stylish: Cultivating A Confident Look, Style & Attitude. Grand Rapids, MI: Zondervan Publishing. 2017. 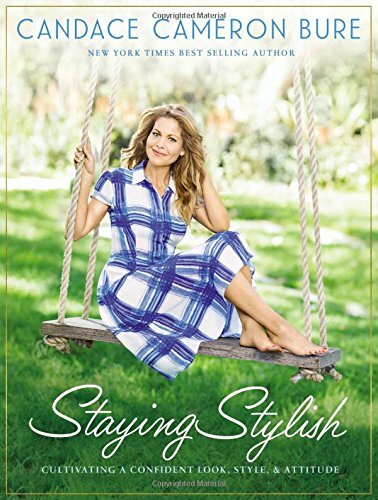 Fashion, style, make-up, skin care, health, fitness and spirit all are addressed in author and actress Candace Cameron Bure’s newest book, Staying Stylish. Along with many ideas for keeping your wardrobe both stylish and appropriate, your make-up fresh and natural, your closet well organized, your fitness level healthy and your faith fulfilled and present, elegant photographs, tips and tricks, and favorite products are scattered throughout. A beautiful hard-covered book complete with a ribbon marker, perfect for all ages. Packaged in a stunning book with glossy pages, excellent organization, and lots of style ideas, Staying Stylish is a charming book for most anyone, though especially young adults and perhaps those entering careers. 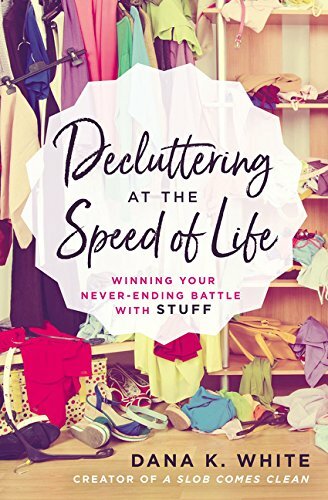 Though it wasn’t necessarily a book directly for me, I may have picked up a few tidbits but plan to gift this book to someone who could use it more. Liking the emphasis on faith as well as appropriateness, it might work well as a basis for a teen ministry. Having read Candace Cameron Bure’s other books, I do trust and appreciate her writing, honesty and direction. I look forward to reading more. Sisson, Mark With Kearns, Brad. The Keto Reset Diet: Reboot Your Metabolism In 21 Days And Burn FAt Forever. New York, USA: Harmony Publishing. 2017. Sweeping the eating culture in popularity recently, the Keto diet is based on metabolism and the many contributing/ surrounding factors. 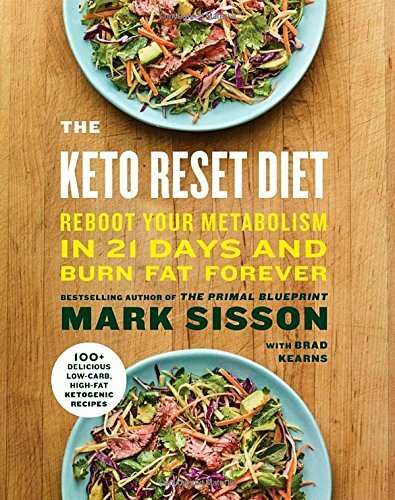 In his new book, the Keto Reset Diet, author, athlete and health coach Mark Sisson shares his most recent research into eating for a healthy lifestyle. Filled with lots of specific information about the Keto method of eating as well as a 21 day menu for getting your body ready, there are also over 100 recipes which support the Keto diet. Based on the theory of a high-fat, moderate-protein and low-carb pattern of eating, this cookbook sets the stage for success. Having heard of the Keto method of nutrients and lifestyle, I was intrigued enough to further research the diet. As an interesting and easy to understand book, The Keto Reset Diet definitely answered several of my questions as well as made a case for this manner of sustenance. Though not quite ready to commit, I will try some of the included recipes while I investigate and read further. With lots of information regarding nutrition, metabolism, health, and ingredients, even if the Keto diet is not strictly followed, there are absolutely some healthy ideas and suggestions to incorporate into a healthier lifestyle. A great book to read while deciding if this diet is right for you. Evans- Hurst, Chrystal. 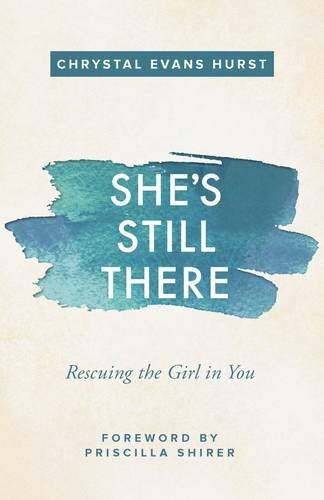 She’s Still There- Rescuing the Girl in You. Grand Rapids, MI: Zondervan Publishing. 2017. Losing yourself in the midst of life is easy to do but finding yourself again can be a daunting task. With compassion, encouragement, faith, trust and personal experience, author Chrystal Evans-Hurst shares her own story and insights on life. Lending a hand yet allowing you to stand on your own, She’s Still There explores the reasons and events in life that caused the loss. Looking deeply within, the girl that was once there is reassured, strengthened and restored to dream, believe and live again. Like a personal coach and cheerleader, Chrystal Evans-Hurst is there and understands. Having been there herself, she shares her concern as a friend and confidant to help others find that girl within that is lost due to circumstances, situations, events…life. Offering wisdom, acceptance, and familiarity, this book is perfect for anyone who has experienced life (most of us). Perfect as a pick-me-up, a pat-on-the-back or perhaps even a kick-in-the-pants, She’s Still There found me nodding several times and chuckling in recognition as I read through it. 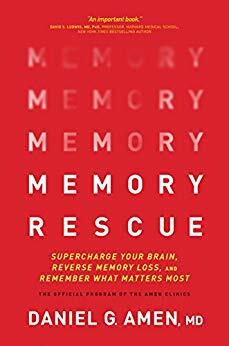 Definitely a book I will keep on my shelf to revisit as needed, I also wouldn’t hesitate to share it or recommend it to most anyone. American Heart Association. 9th Edition. New York, USA: Harmony Books. 2017. Would you like to be healthy? Eat correctly? Feel better? 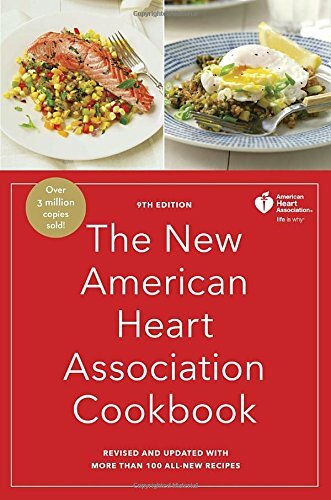 The American Heart Association makes it easier in their newest updated cookbook. Full of more than 800 recipes divided into categories such as snacks, soups, salads, seafood, meats, vegetables, breads, and desserts, the cookbook opens with heart healthy guidelines and tips. Complete with a list of ingredients and easy to follow, condensed directions, each recipe also includes nutritional values per serving. 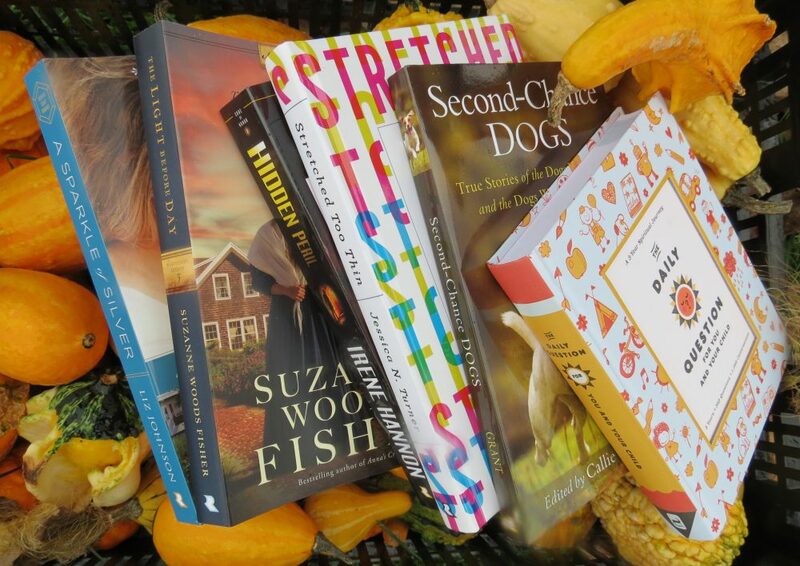 Packaged in a thick hardcover book, delicious and healthy menus are definitely possible. Knowing and trusting the American Heart Association name, I was very interested in the newest edition of the cookbook. With simple yet delicious recipes, the only thing missing was pictures. Appreciating the nutritional sense included at the beginning of the book, this cookbook leaves no doubt as to the health of the recipes. Already watching my family’s diet, The New American Heart Association Cookbook only makes it easier and much more enjoyable. Absolutely a book to keep and share, this new edition updates tried-and-true past recipes mixed with new ones. With a focus on quick and easy methods and menus, there is something healthy for everyone. Sure to become a staple in American kitchens as healthy lifestyles emerge. Louis, Jenn. With Squires, Kathleen. The Book of Greens: A Cook’s Compendium. New York, NY: Ten Speed Press Publishing. 2017. 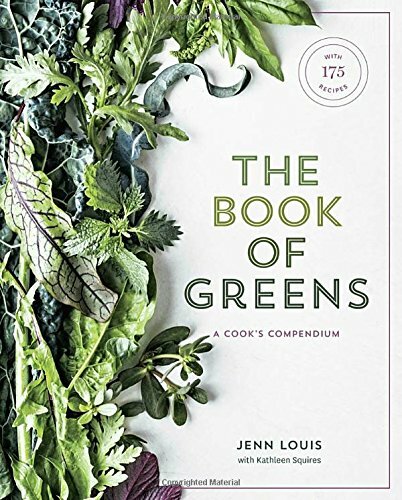 With the purpose of bringing new greens into everyday meals, chef Jenn Louis takes the mystery and anxiety of new vegetables out of the forefront by explaining the nutrition, history, seasonality, and usage ease of many greens. Paired with 175 new recipes, an alphabetical index, scattered photographs, and tons of inspiration, The Book of Greens is a reference guide for the home cook. Already receiving notice this book was about to debut, I couldn’t wait to use it during the beginning of Farmer’s Market season. Trying to break out of the usual vegetable and greens groove, this beautiful and useful cookbook will definitely help me reach that goal. Full of everyday items and ingredients, this encyclopedia-type book is as interesting and charismatic as it is beneficial and valuable. Absolutely a book I will refer to repeatedly, my family can look forward to new entrees, sides and desserts centered around delicious greens. Rowe, Wendy. 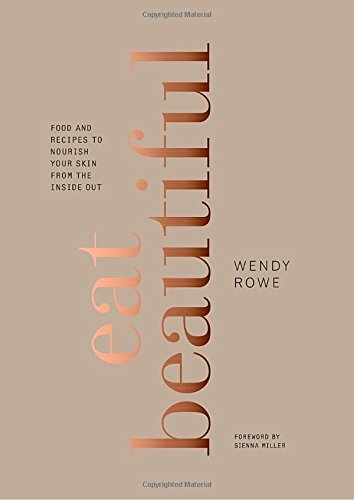 Eat Beautiful: Food And Recipes To Nourish Your Skin From The Inside Out. USA: Clarkson Potter/ Publishers. 2016. Broken into the four seasons with explanations of certain foods helpful during each specific season, the ingredients are then incorporated into recipes. Interspersed with health and beauty tips for skin and body, Eat Beautiful offers care for the entire person, inside and out with a focus on skin. With years as an international make-up artist to models and celebrities, author Wendy Rowe is known for her holistic approach to skincare. With lots of information on the effectiveness and necessity of eating healthy for your skin and health, Eat Beautiful starts with the inside which causes the outside to shine. Full of wonderfully healthy recipes with ingredients which nourish the skin (quinoa, salmon, almond milk, radish, garlic, pumpkin, pine nuts), each recipe also includes a brief personal note, calories per portion, skin benefits and well organized directions. With photographs scattered throughout, the only thing missing was pictures of “ordinary” people, too. The areas including the helpful ingredients were full of information relating to skin nutrients from which I learned quite a bit. Overall, a useful book to help you feel and look your best.